Re di Roma - Line A. Re di Roma Underground Station is 450m away (5min walk). Walk west on Via Cerveteri towards Via Siponto, Turn left onto Via Pomezia, Continue onto Via Imera and you will find our therapy clinic on the right-side at number 10. Ponte Lungo - Line A. Walk west on Via Albenga towards Via Cividale del Friuli, Continue onto Via Etruria, Turn left onto Via Imera and you will find our therapy clinic on the right-side at number 10. San Giovanni - Line A, Line C.
San Giovanni Underground Station is 1km away (12min walk). Walk south-west on Via Magnagrecia, Continue onto Piazza Tuscolo, Continue onto Via Britannia, Turn left onto Via Cutilia, Turn right onto Via Imera and you will find our therapy clinic on the right-side at number 10. Number 77, 87, 218, 360, 628, 649, 650, 665. Street parking is available near the clinic. 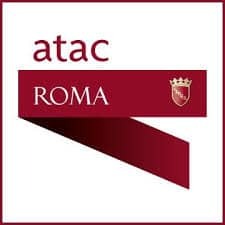 The nearest car park to the therapy clinic is located at Via Cerveteri 5, 00183 Roma.